Until the end of the summer, an exhibition is running at the Goulandris Museum of Cycladic Art in Athens, displaying the fruits of 20 years of systematic excavation at Eleutherna, a Cretan site located near Mount Psiloritis. The excavations which have been carried out over two decades by the University of Crete, have revealed human activity which dates back to the third century BC and extends as far as the Middle Ages. Split into three major sections, the Polis (the city), the Acropolis (people's private lives) and Necropolis (the afterlife), the exhibition holds some of the items selected from the hundreds of thousands of artefacts which have been recovered by the archaeological team. 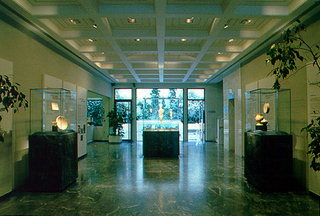 The exhibition will be on at the museum in Athens until the beginning of September.